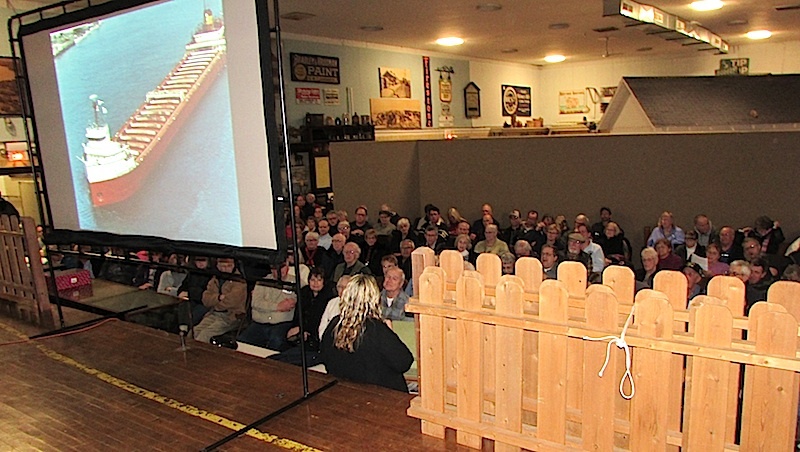 Rochelle Pennington, a historical researcher from Kewaskum, Wis. and author of 10 books including “The Historic Christmas Tree Ship: The Story of Captain Santa" spoke March 19 had a capacity audience transfixed. 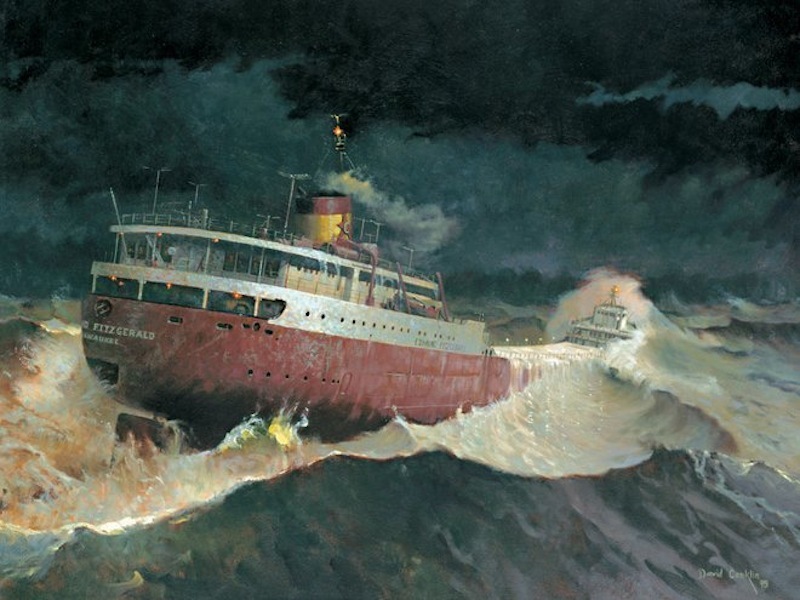 No other Great Lakes shipwreck is better known than the Edmund Fitzgerald, which remains the largest shipwreck on the Great Lakes and among its most enticing mysteries. She disappeared into a stormy Lake Superior on Nov. 10, 1975. Pennington dove into the various theories and opposing views of dive detectives, who still are trying to determine what circumstances led to the deaths of 29 crewmen. She also talked about sleeping monster that is Lake Superior and the likellihood that the massive Edmund Fitzgerald was struck by three rogue waves nearly simultaneously. Dubbed "Three Sisters," these massive waves - caused by winds, currents and rivochets off land – are capable of "taking a ship down and holding her there," Pennington said. Investigators also are convinced that the Fitz also struck an underwater shoal, that protrude around islands. Captain Ernest McSorley radioed that the Fitzgerald was listing and that her pumps were having trouble keeping up with the incoming water. "The answer [why she sunk] is complicated. 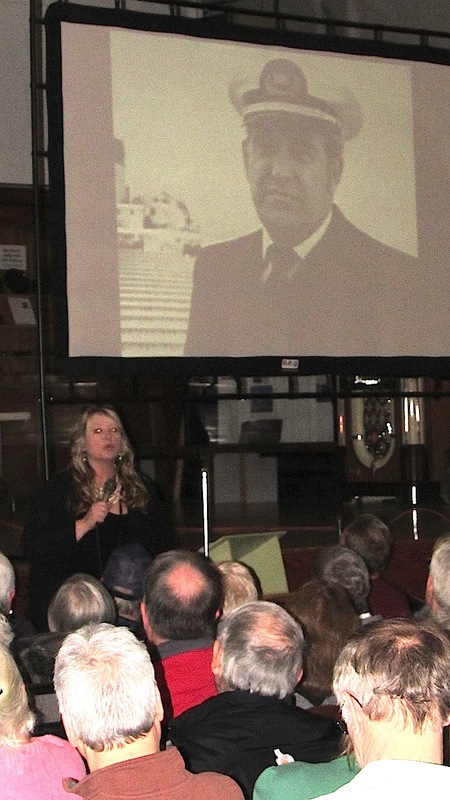 It was complicated 42 years years ago and it is complicated now," Pennington told the audience. She pointed out the only one that knows for sure is McSorley, a veteran Great Lakes captain that was poised to retire. "The ship may have been lost, but it's tale remains," she said. • 3 p.m. Monday, April 2 – From Our Own Back Yard: A Woman Empowered. 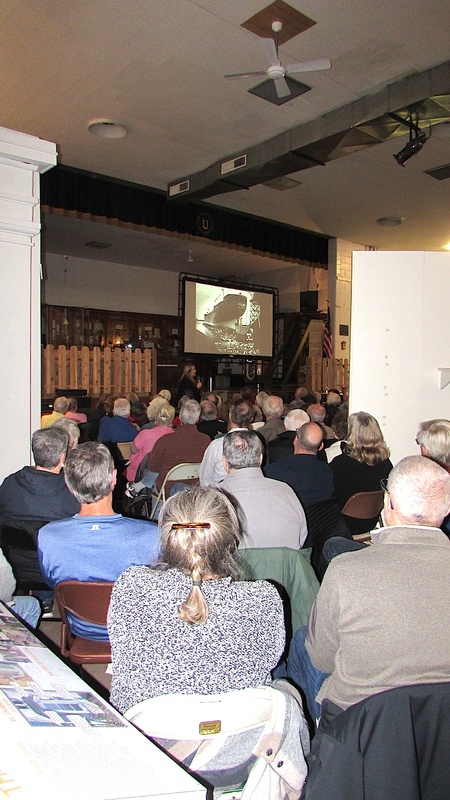 Presented by Craig Pfannkuche, at retired history teacher and genealogical researcher from Wonder Lake. McHenry County was the home of a goodly number of women who made a difference in American history. 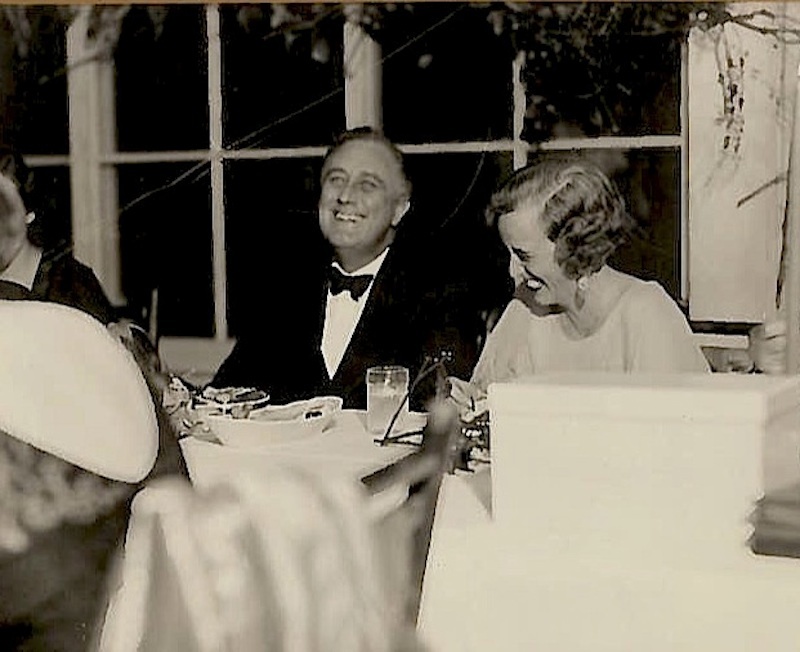 One of them was Lillian Donovan, a Harvard resident who befriended Franklin Delano Roosevelt and later was appointed as a federal revenue collector in Chicago when Roosevelt became president in 1933. Learn about this interesting woman and her connection to one of the world’s most influential leaders. • 7 p.m. Monday, April 16 – How Corn Changed itself and Then Changed Everything Else. Presented by Cynthia Clampitt, an author and food historian from Palatine. About 10,000 years ago, a weedy grass growing in Mexico that possessed a strange trait known as a “jumping gene” transformed itself into a larger and more useful plant: the cereal grass that we would come to know as maize and then as corn. 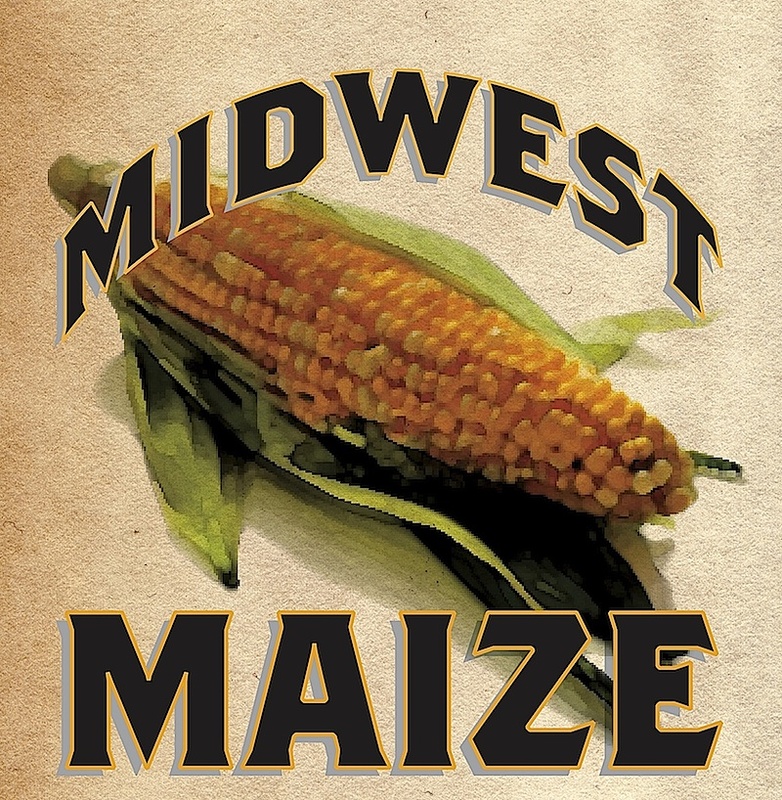 Illinois is second only to Iowa, as an American corn-growing state. And McHenry County outpaces all other Collar Counties in corn production. Illinois and corn are inexorably linked, yet few realize its historic impact and why it remains so vital today. Made possible through a grant from Illinois Humanities. All programs are at the Society museum, 6422 Main St. in Union. A $10 donation is requested. For information call 815-923-2267 or visit www.gothistory.org.